Rice is the seed of the monocot plants. As a cereal grain, it is the most widely consumed staple food for a large part of the world’s human population, especially in Asia and the West Indies. 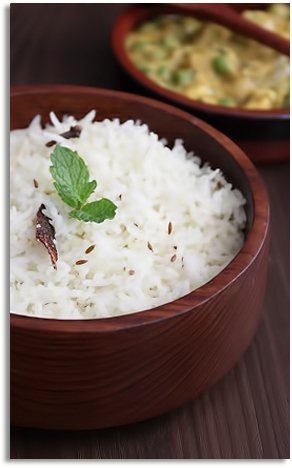 There are many varieties of rice, for many purposes, are distinguished as long-, medium-, and short-grain rices. Rice can be purchased polished (white) or unpolished (brown). Other varieties may depend on the season in which it is harvested. Spring rice will have a lighter more delicate flavor while rice harvested later in the season will be strong and robust. General use in food industry, variety of possibilities, dishes, soups, sweet dishes, sushi, rice puddings. Great food for numerous reasons: plentiful, delicious, inexpensive, very filling and nutritious, since it contains several vitamins and minerals, complex carbohydrates, and no fat. Rice is not modified in shape and color. Natural flavor, no mold and fermentation (no strange flavor or expression on damaged rice). No weevils and worms, live or dead insects. Product must be stored in dry and cool, vacuum warehouse. Product has shelf life 24 months in the original packaging.